Are You Attempting to Close the Gap Between Lab Orders and Lab Results? Increasingly, payers are relying on laboratory data to support quality and reporting initiatives, analytics, and population health strategies. 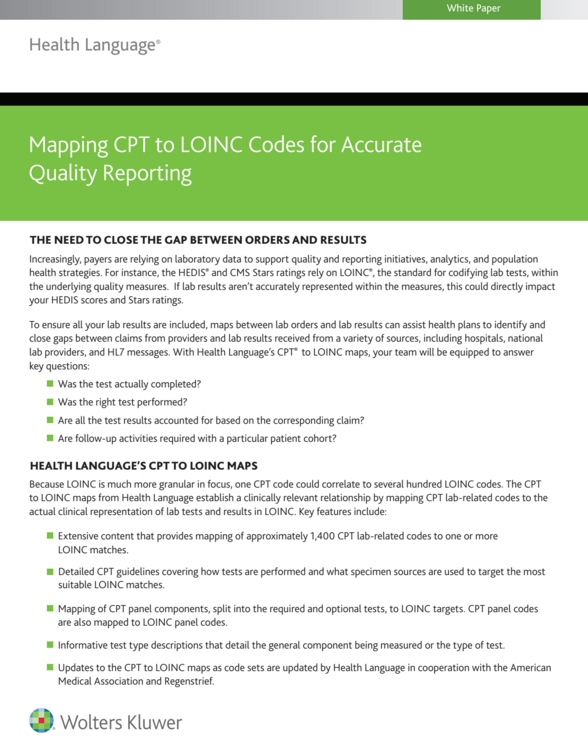 Maps between lab orders and lab results can assist health plans to identify and close gaps between claims from providers and lab results received from a variety of sources including hospitals, national lab providers, and HL7 messages. With real-examples, you'll see why combining claims and clinical data is important ensuring accuracy with your quality reporting programs.